Yoga Sprout features fun, comfortable athletic wear with vibrant colors and playful patterns. This adorable hoodie, bodysuit & pant set features soft, stretchable, 100% cotton fabric that is sure to keep up with your active little sprout. 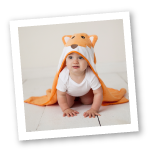 Available in sizes up to 24 months! 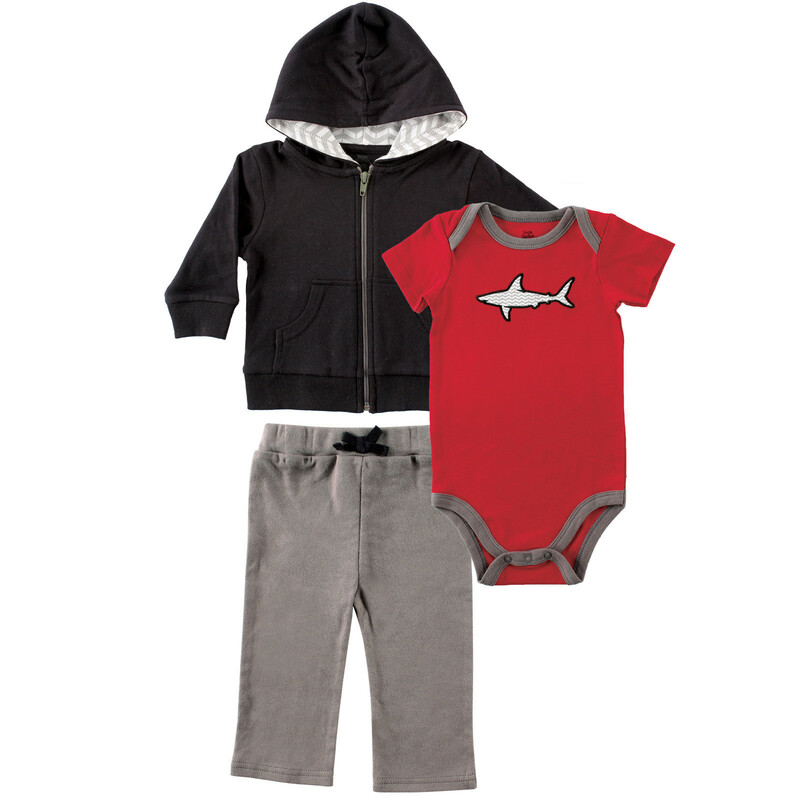 Mix & match additional garments from our coordinating Shark Collection! From happy baby pose to every day adventures, grow, relax & be happy, with Yoga Sprout!